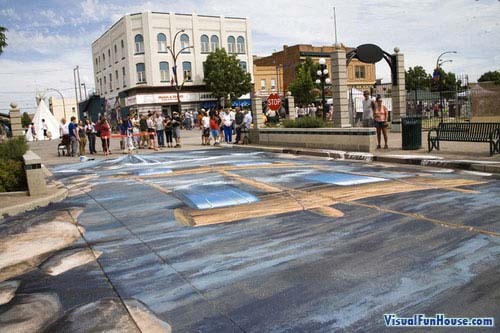 The Worlds Largest 3D Street Painting spans over 280 square meters giving it the title for largest 3D street paintings. 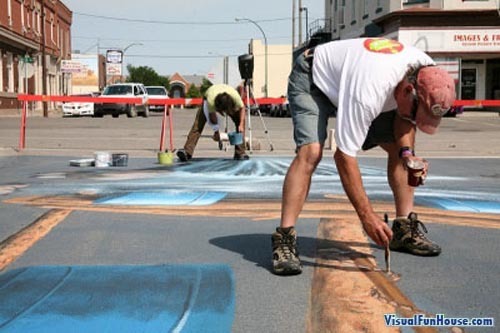 It was created for the Moose Jaw Prairie Arts Festival by Edgar Muller along with his team of artists. 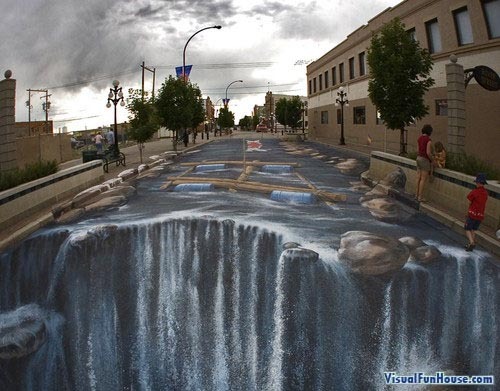 This giant 3D waterfall creates a amazing effect when view from straight on. 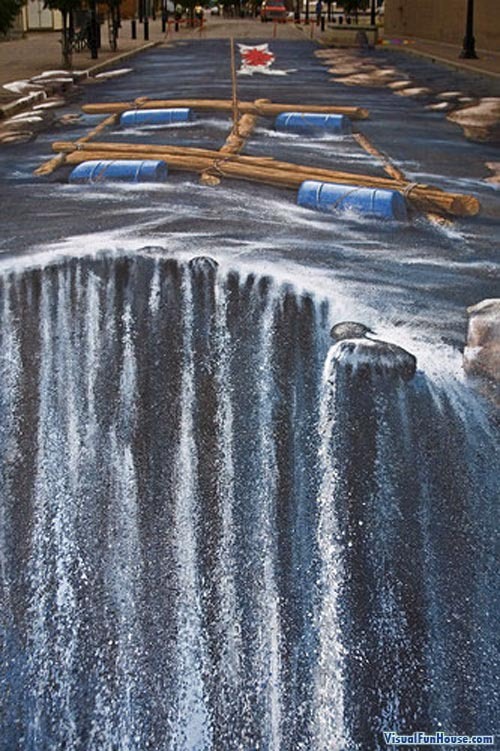 It kind of reminds me of Beavers 3D Rafting painting. 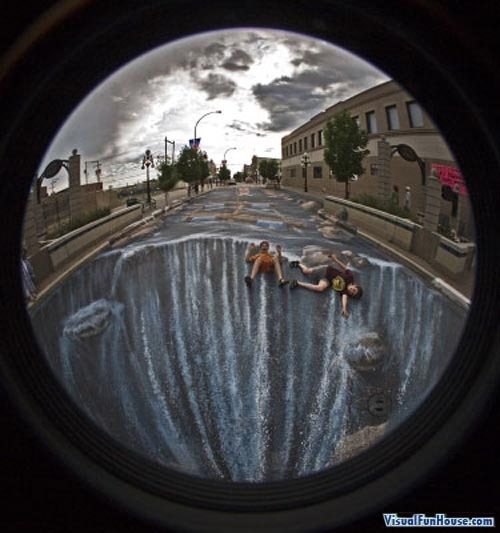 For more amazing artworks like these check out our collection of 3D Chalk Drawings. 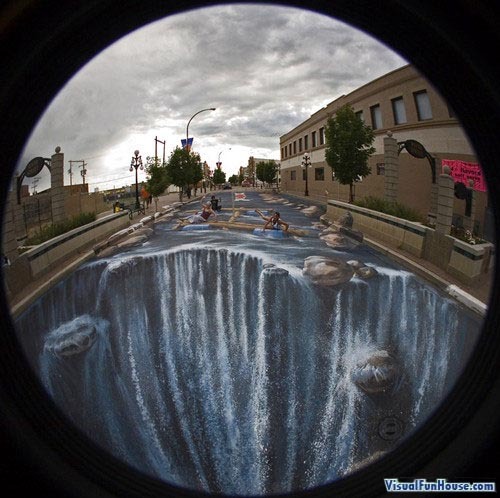 This is one of the coolest thigs I have ever seen in my entire life!!!!! Awesome! 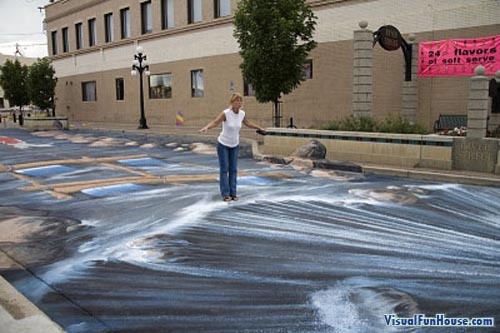 These should be paited on streets all over the world. Just think how they could change people’s attitudes, in many ways! IT IS EXTREMELY GREAT !!!!!!!! 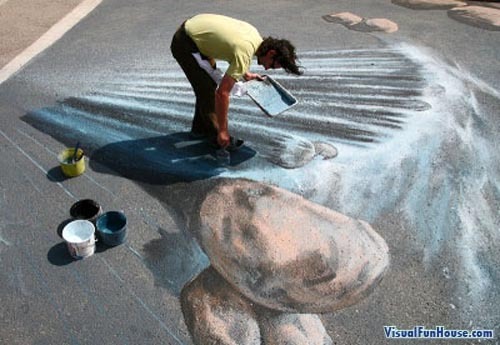 OH MY GOSH… THATS AMAZING!!! which country is it in.